They say that home is where the heart is, so why not touch the heart of that special someone on your holiday shopping list with personalized Christmas gifts that are made especially for their home? As Dorothy said in the famous Wizard of Oz, “There’s no place like home”. After all, home is where we go after a long day at work or school to get away from everything and relax. Home is the place that we invite our loved ones to in order to celebrate accomplishments and new beginnings, and even to say goodbye. Our homes are the center of everything we do, everything we are, and sometimes even a reflection of who we want to be. There is now, and will likely never be, any place like home. 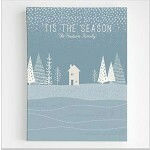 Choosing the perfect personalized Christmas gifts for your loved one’s home can, of course, be a little bit intimidating. You want to select something that not only blends with your loved one’s décor, but also makes a statement about their unique personality. Of course you could opt to buy generic photo frames, lamps, or clocks from the discount store on the corner, but while they might be “acceptable” gifts, they just don’t have the same impact that something truly one of a kind would. Before you get yourself into a panic trying to prepare for your next move, have a look at these creative pieces of wall art that I found. 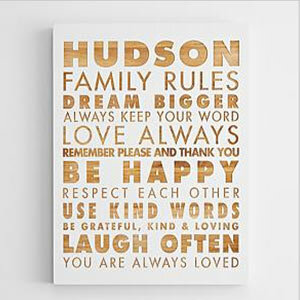 The Personalized Family Rules Wooden Wall Art piece is an excellent choice when it comes to personalized Christmas gifts for home who have children or are intending to start a family. 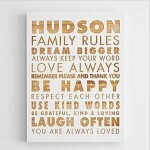 Each line is filled with inspiring text and wonderful tidbits of wisdom that will remind each member of the family that with the proper behavior and attitude towards others, peace and success are possible. This unique piece of art is available in three different sizes and three finishes, and will make a unique addition to anybody’s home décor. The smallest version measures approximately 12” x 16”, the medium sized piece measures 16: x 16”, and the largest version measures 18” x 24”. If you are searching for something a little different to help update your loved one’s holiday décor, the Personalized Winter Scene Wall Art is an excellent choice. 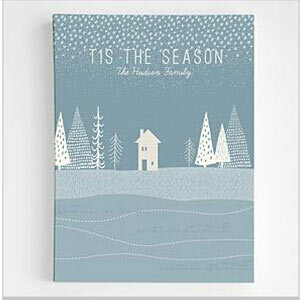 This creative piece is available in a variety of color schemes to match your loved ones taste, and includes up to two lines of personalization where you can add a special sentiment, holiday greeting, name or other message that includes up to 15 characters on the first line and 40 characters on the second line to make it a one of a kind gift that is certain to be treasured for generations to come. Choose between the canvas wall art version, or select a framed piece and choose from three beautiful frame styles to compliment your loved one’s home this holiday season. 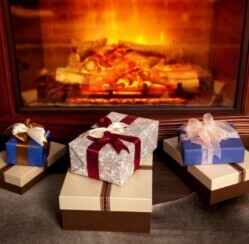 Have you ever received personalized Christmas gifts for your home? Were they seasonal pieces or do you display them year ‘round? What is your favorite personalized piece of home décor?